“LAST FRIDAY, ENGINEERS on Google parent Alphabet’s internet-by-balloon Project Loon tweeted that they hoped to bring emergency connectivity to Puerto Rico after Hurricanes Irma and Maria left more than 90 percent of the island without cellphone coverage. 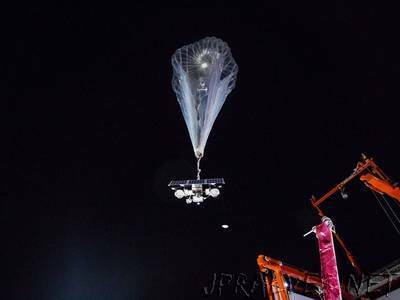 If all goes to plan, Alphabet’s balloons will soon help replace the thousands of cellphone towers knocked out of service by hurricane-strength winds. The balloons would provide voice and data service through local carriers to users’ phones.